Tamina Pitt, a Wuthathi and Meriam woman, is a self-confessed tech geek. Tamina was a published author at the age of five, creating a book ‘What makes a tree smile’ for her younger brother to understand the world around him. She is a creative thinker and problem solver. Tamina is currently studying a Bachelor of Computer Engineering at the University of NSW, and has interned as a software engineer at Google, where she was asked to represent the organisation at Grace Hooper, the largest international gathering of female technologists. Tamina acknowledges that she is a minority in her field. As the Director of Indigtek, she is using her role to galvanise a stronger community of practice amongst Aboriginal and Torres Strait Islander tech engineers and entrepreneurs. A sought after speaker and workshop facilitator, she is passionate about Indigenous participation and excellence in the field of technology, and wants to see more women studying STEM subjects. 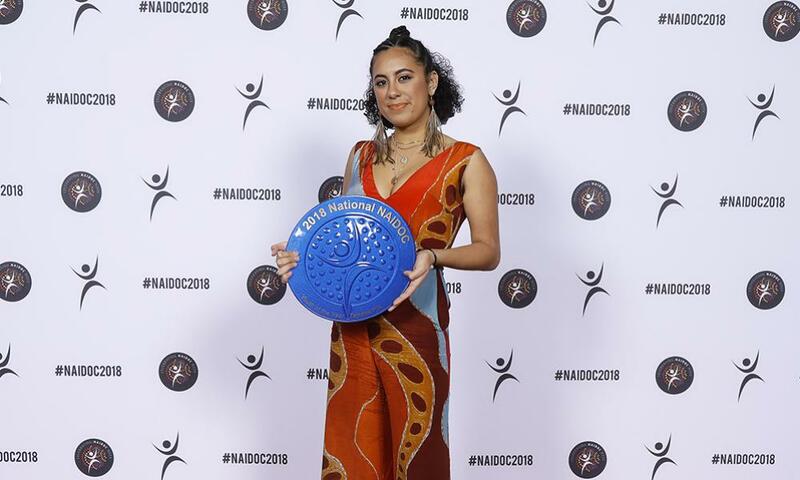 Tamina is a young trailblazer, and is redefining the narrative of young Aboriginal and Torres Strait Islander women.